Ultra Safe Pest Management Inc. is a full service, pest and wildlife specialty company. 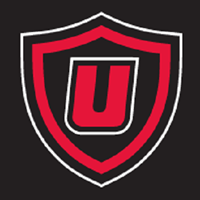 Founded in 1999, Ultra Safe is a family owned company, based in Boston, Massachusetts. We have specialists available for every type of structural pest or nuisance wildlife situation. Ownership is directly involved in the day-to-day operations and services being offered. I found your service to be very professional. Eric Homan came out as scheduled and did an excellent job. He was very polite and answered any questions I had and left my property looking as he found it. Thankyou! Very pleased with every aspect of Ultra Safe:a quick response, excellent communication, and competent technicians. I'm sure everything went well with the perimeter inspection. (Sorry I was not able to be home at the time.) Like in the past, I don't plan on seeing anything that doesn't belong in the house/hasn't paid rent!! Great service. Very professional. Showed up on time. Definitely will use them as needed. The technician was on time and completed his service with focus and was done is a short time. Courteous and friendly. Would use you guys again! I could not be more pleased with the service provided to find and exclude openings in my house that allowed for mice to enter. The service was both efficient and extremely professional. From Sue in the office, to Tim and Rob in the field, I felt that everyone was working toward resolving the issue which had gone unresolved for many years with another pest control company. They were a pleasure to work with, understanding of the frustration that accompanies any pest in your home, and it appears that the issue has been resolved! I would highly recommend Ultra Safe (which was recommended to me by a family member that was equally pleased with the services), and in fact I have recommended Ultra Safe to my nephew who just acquired an older home that requires pest management services. It's always nice to be able to recommend a service provider with such enthusiasm. The work was done quickly and all of my questions were answered completely. The Tech Mike was patient informative and knowledgeable I was happy with his work. The technician Mike is the best. Thorough, knowledgeable, takes pride in what he does. Consistently pleased with Ultra Safe’s responsiveness and professionalism. I would definitely recommend them for pest and wildlife exclusion needs. Awesome service. Ultra safe take care of everything so I have peace of mind!! We received prompt service and a thorough evaluation of our pest problem. Mike and Eric were the best..took there time went over our entire house in and out. They were very knowledgeable resolved all of our pest issues, well worth the cost. They were very clean and picked up after themselves. Great job. Ultra Safe is my go-to place for pest problems. They did a superb job ridding my house of bed bugs and later, mice. They are prompt, professional, friendly, informative, accessible, and thorough. Can't say enough good about them. Very pleased with service and gentleman was very informative. Superb service and so far no more squirrel problem! Good service and professional techs. Inspection and services provided were professional, prompt and very thorough. Within 2 hours of my initial call, a service representative was at my front door! Mike was efficient,courteous, and clearly explained exactly what he needed to do to complete the requested inspection. His report was ready and sent via email within a half hour of finishing. While one of the reports went missing for a bit, the staff was always friendly and helpful and most importantly, they stand behind their services. Highly recommended! Customer service was excellent! The technician that came out to my home was very professional and courteous! We HAD a serious rat problem. No more. The colony we believe is gone. The amount of poison eaten would have killed a herd of elephants!! Traps and bait were abundant. Nothing could live after that assault. Thank you Ultra Safe Pest!! My initial conversation with "Sue" was so pleasant, she answered any questions I had and set me up with an appointment within 2 days! On the day of my appointment Pete was my technician, he was equally as informative and pleasant. I am pleased to say that I'm going to use them for continued maintenance. Great service, great job and polite!! The team was great - knowledgeable, prompt, courteous, and kept us well informed at every step of the process. Would use them again if needed! Fantastic customer service, excellent follow up. Excellent and prompt service. Very knowledgeable and very professional. Mike D provided great service, best professional I've worked with in a long time! He was so helpful and reassuring through a very stressful time. He was very patient with my many questions, and answered them with clear instructions and helpful tips and advice. He has shown he genuinely cares and has helped relieve myself and family with all of his support and help. Words cant express enough... many thanks to him and Ultra Safe! Joe was knowledgeable and efficient. He explained the situation and the recommended service. When he arrived to perform the work, he was detailed in his approach, found additional areas to seal and explained the process with follow up recommendations. You were recommended by my neighbor and I would certainly recommend you to others. Jay Culbert, Groveland MA. I had some clean up and sanitizing done as well as blocking area's so that I do not have the return of squirrel's and raccoon's and they did a great job and would recommend you anytime. Thank you for all your help. Eric H. And Jay did a great job on my pest (Rat) exclusion. Very professional and took there time, closing any entry way for the rats to get in. Excellent service! Rob was very professional explained everything and most important got rid of the HORNETS!! So I was not in the home (both times) when the technician came for the initial spray and also for the follow up. My parents were there for both of those visits and they stated they were quite impressed with the technician and that he was very kind and knowledgeable. In the times that I spoke with your company over the phone, I was very thankful for your excellent customer service. I will gladly recommend this company to friends and family. Absolutely thrilled that Ultra Safe was able to quickly address the yellow jacket issue in my home and I am happy to say I haven't seen any yellow jackets in the past 3 days. You guys r great called u twice once for bird nest removal & the 2nd time to remove a hornets nest very professional u guys know your job & do a great job will definitely use u again thanks for the great job u did both times I’m a very satisfied customer.